I hold my hands up; I made a huge mistake. 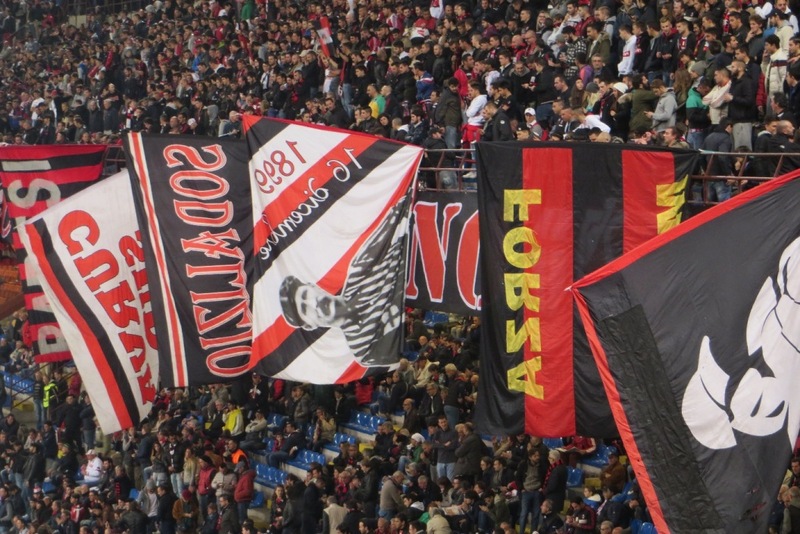 Going into this season’s groundhopping tour – having studied the careers of each of the chosen ones – a starry eyed green monster dragged my attention towards Northern Italy. It was an obvious choice; too obvious maybe. There is no doubt Milano’s a fine city with much appeal. Luther himself spoke to me of its beauty, highlighting enthusiastically the areas around “Piazza Del Duomo and Quartiere Navigli”. 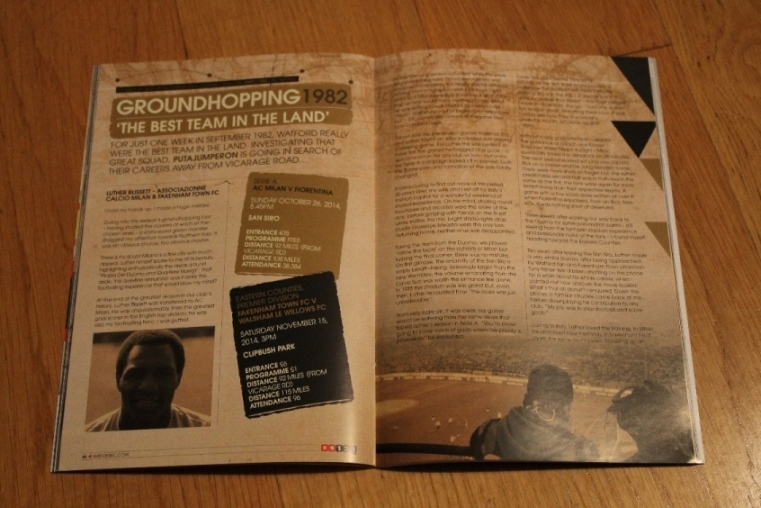 That aside, the question remained; was it really the footballing experience that would blow my mind? At the end of the greatest season in our club’s history, Luther Blissett was transferred to AC Milan. He was unquestionably then the greatest goal scorer in the English top division; he was also my footballing hero. I was gutted. As the following season unfolded; while the press began hatching tales of mistaken identity and anarchist movements, the reality was far different. Arriving from a highly successful Graham Taylor team to a Milanese side in transition, it wasn’t the step up one would have assumed today. Whilst he settling in was assisted by team mates – “Filippo Galli knew a bit of English and helped me out” – Eric Gerets also arrived at the same time, from Standard Liege. Thrown into the pre-season games together Eric and Luther found an attack-minded side playing a pressing game. For the Luther this was perfect. In those first five games he bagged nine goals – a welcome return for any club or fan – but once the Serie A campaign kicked off in earnest, both the game plan and formation of the side totally changed. Endeavouring to find out more of this period, thirty years later, my wife and I set off for Italy’s fashion capital for a wonderful weekend of shared experience. On her mind, strolling round boutiques and arcades were the order of the day, before gorging with friends on the finest white truffles. For me, bright stadia lights atop Stadio Giuseppe Meazza was the only the lure. Returning home neither of us was disappointed. Taking the tram from the Duomo, we played ‘follow the local’ on the outskirts of Milan but turning the final corner, there was no mistake. On first glimpse, the enormity of the San Siro is simply breath-taking. 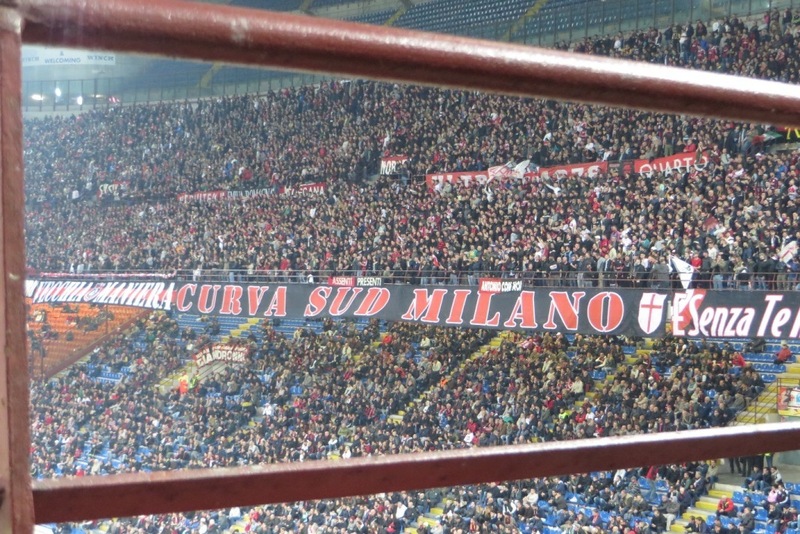 Seemingly larger than the new Wembley, the volume emanating from the Curva Sud was worth the entrance fee alone. In 1983 the stadium was less grand but, even then, Luther recounted how “the noise was just unbelievable”. From very early on, it was clear, our game would be suffering from the same issues that faced Luther’s season in Serie A. “You’re never going to score loads of goals when the priority is possession.” he explained. Inside the giant arena, fans sang proudly as the two sides endeavoured to dominate the midfield with neat intricate passing. Back in the 80s, I’d always found it quite incredible that Blissett – the most present player in i Rossoneri line up – had only scored five league goals. 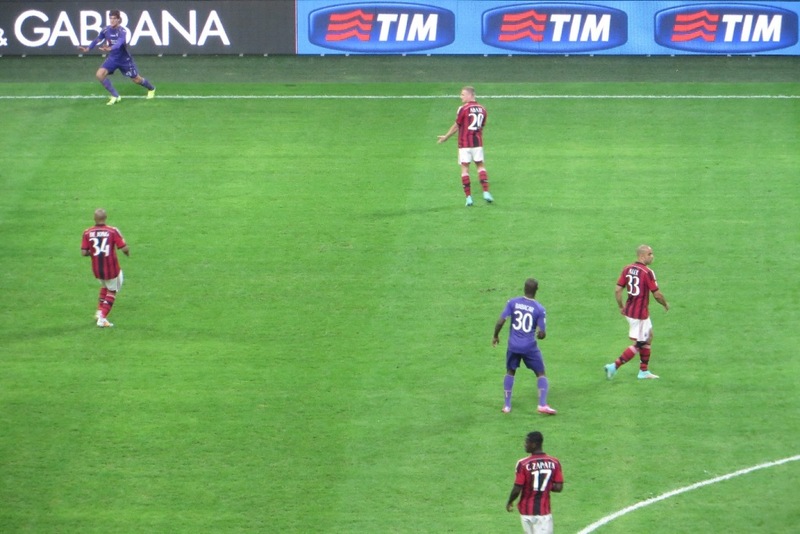 Watching them now, it was hard to see how they’d score any goals this month, let alone against i Viola. 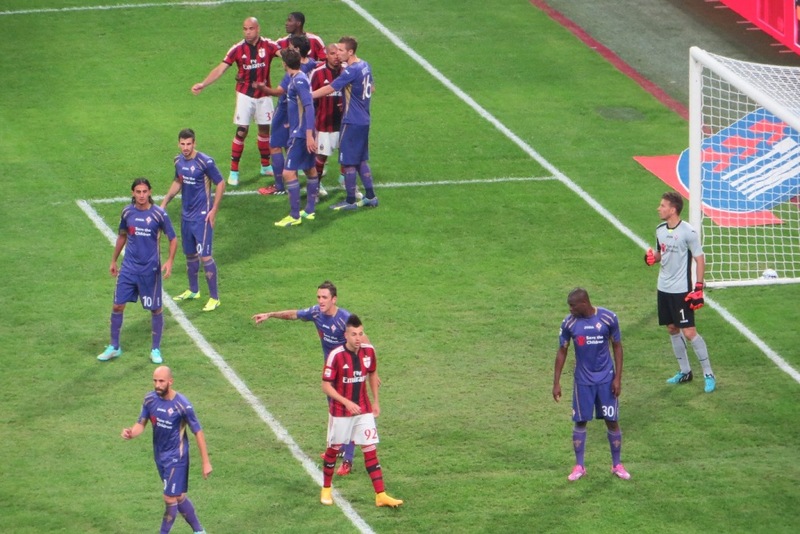 Without many goal attempts – despite the guidance of coach and former Rossoneri striker Filippo Inzaghi – Milan eventually broke the deadlock on 28 minutes. The neat well-rehearsed seat play saw, Zapata flick on a corner and De Jong headed home. There were more shots on target but, the rather predictable second half was in truth much the same as the first; the fans were again far more entertaining than their respective teams. A game with low score draw written all over it; when Fiorentina equalised, from an Ilicic free kick, it was nothing short of deserved. 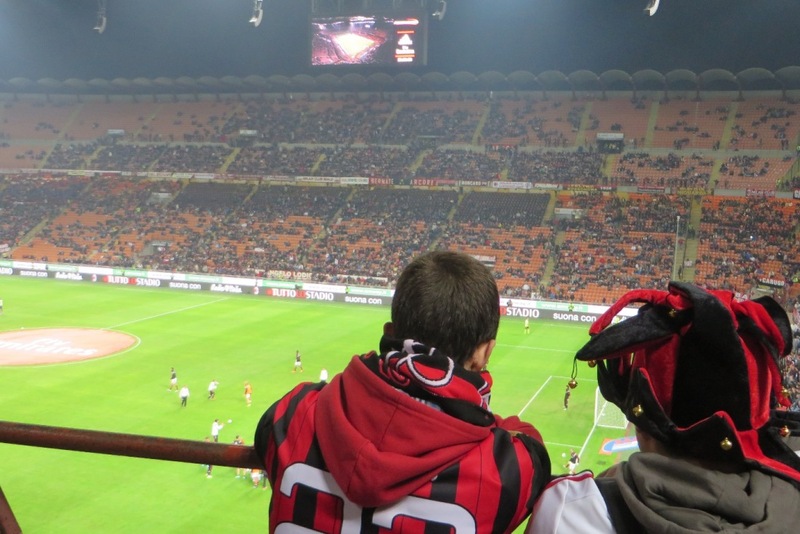 Three weeks after working our way back to the Duomo for some post-match pasta – still reeling from the fantastic stadium experience and passionate noise of the fans – I found myself heading towards the Eastern Counties. Just as in Italy, Luther loved the training. In Milan he absorbed new methods, in Fakenham he’d share the same techniques; travelling up on a Friday night, “staying with the chairman and coaching the kids on Saturday morning before the game” team mate Neil Jarvis (whose sons played for Norwich City) explained. As I arrived at Clipbush Park, Neil was putting the first team through they paces; warming them up for the important league match ahead. Just like Milan when Blissett arrived, Fakenham have just been promoted again. 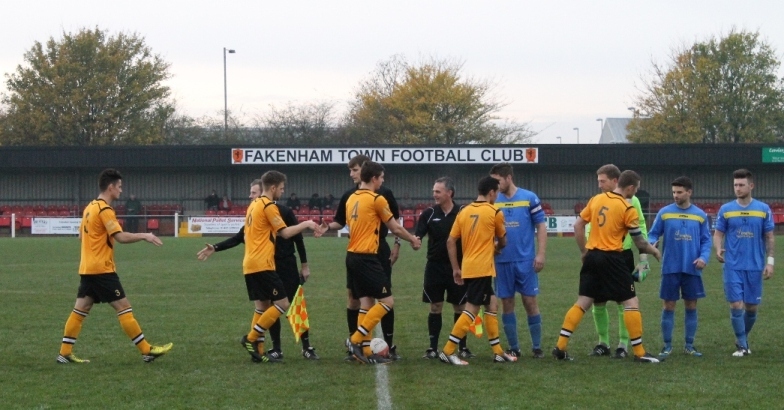 Under ambitious young manager, Wayne Anderson, Fakenham have started to build again from the bottom; Neil Jarvis – once the stalwart centre half – is clearly an integral part of both the club and this new empire. Since their move from the town centre to superb facilities on the outskirts of town; The Ghosts may have lost some of the passing trade that Luther enjoyed but, they’ve have worked incredibly hard, developing numerous youth sides, and building strong club unity by training all ages together. “We got to grips with the youth team and, have pushed a lot of lads into the first team now.” Anderson explained “We’ve got 2-3 lads in the county, Norfolk side… …We’ve really got good depth. The youngsters have really filled the gaps.” Jarvis continued. After the match I listened as this amiable double act extolled the virtues of both their club and the team’s performance. “I enjoyed the game. We just should have gone in one or two goals to the good. But we’re not ruthless enough, are we? It’s been like this all season really. We created a lot of chances.” Infectious in their enthusiasm, their words rolled over each other. It really wasn’t hard to see why players seemed eager to work for them. Clearly both still want to play themselves – it was agreed however that “Jarv” would probably have been sent off for coming through the back of an opponent – but the pair also have a desire to see others progress. Before a small crowd, the first half was an enjoyable yet even encounter. The Ghosts could have exploited openings just before the break but, sadly their best of their chances were either just wide or straight at the keeper. After the interval, a few tasty challenges and four goals in twenty minutes truly set the game alight. Andrew Wood opened for the visitors, curling a superb 20-yard effort into the top comer. Having failed to double their lead, Fakenham went down the other end, where impressive Josh Youngs headed home James Page’s corner. A Lee Sim bullet put Walsham ahead again but parity was restored by Ashley Jarvis (no relation) getting his fourth of the campaign. 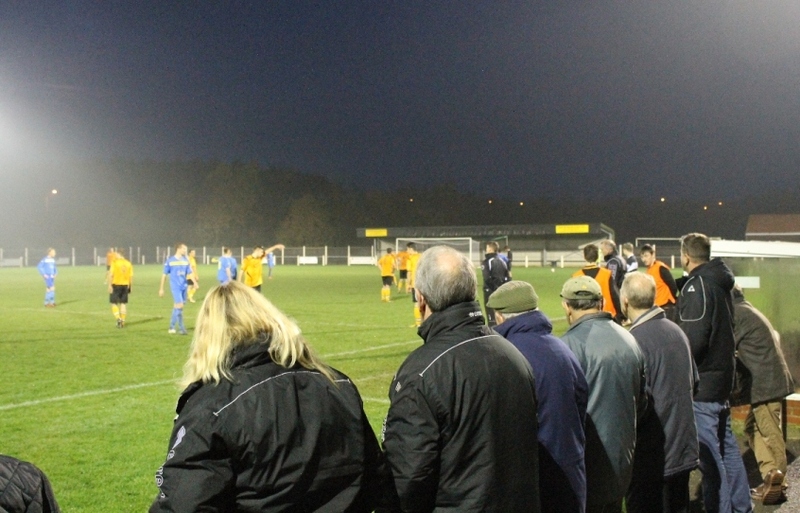 Whilst the town, club and management would clearly like to see Fakenham progress further, this season’s priority is clearly one of consolidation and strengthening foundations. 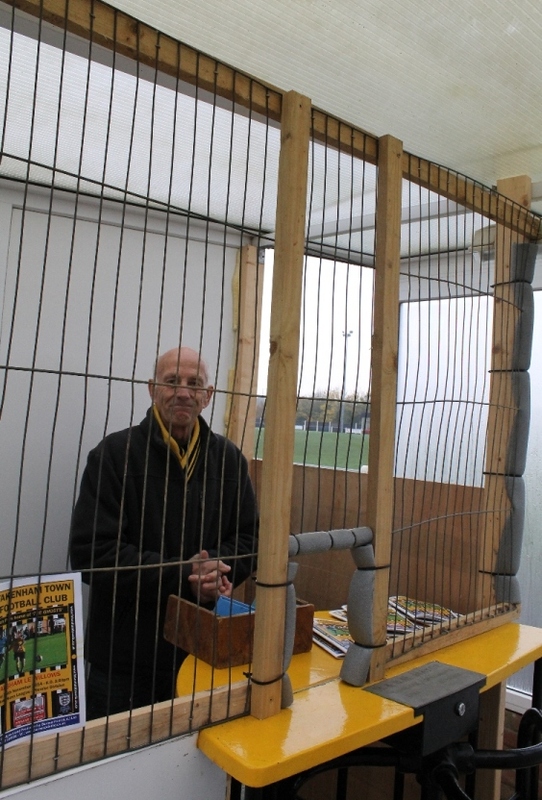 The facilities are certainly in place for this, as is the will of the volunteers. 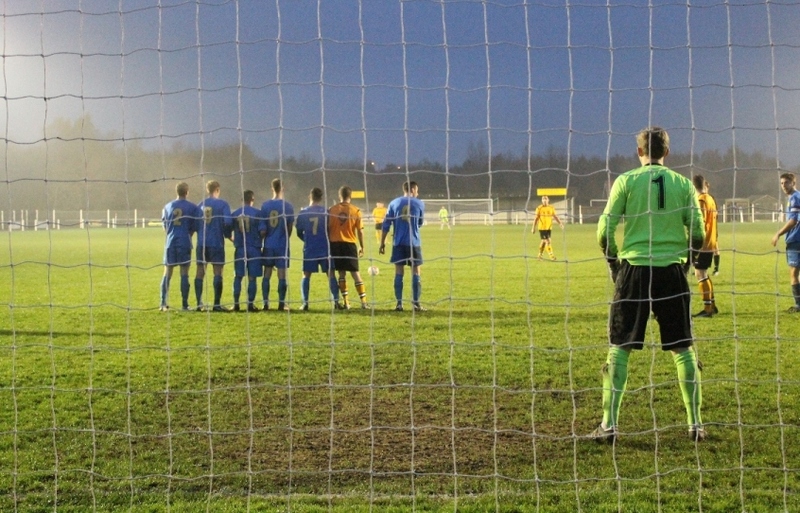 Fakenham of today may not have such a big personality in the side, nor may it have yet achieved the trophy success afforded Blissett’s 1995 side – who won the Norfolk Senior Cup – but I’ve no doubt they have an enthusiastic group capable of pushing the club forward. From long standing club servant Keith Utting on the gate (a player for 17 years and manager for eight more) to the fantastic bar where warm conversation fills the air and fans and staff of both clubs mixed freely. I’ve still no idea what Luther was thinking when he chuckled down the phone but, the delightful atmosphere in this his club must have been somewhere inside. 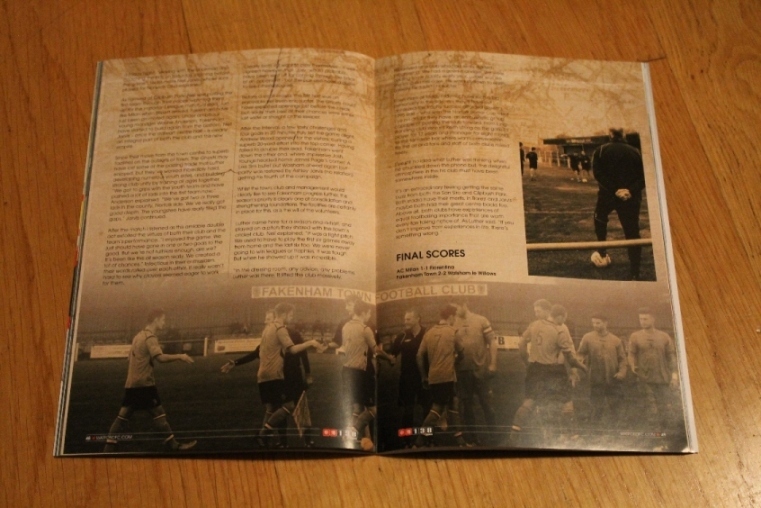 This entry was posted in #WFC1982, 2014-2015, Eastern Counties League, Serie A and tagged AC Milan, Associazionne Calcio Milan, Clipbush Park, Curva Sud, Eastern Counties League, Eric Gerets, Fakenham, Fakenham Town FC, Filippo Galli, Fiorentina, Luther Blissett, Milano, Neil Jarvis, Premier Division, Rossoneri, San Siro, Serie A, The Ghosts, Tony Fisher, Walsham le Willows FC. Bookmark the permalink.